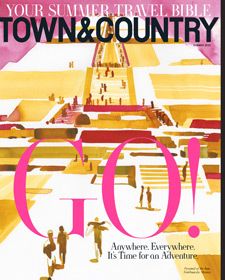 Fill in the form below to subscribe to Town & Country for up to 80% OFF what others pay on the newsstand — that's like getting 14 FREE issues! 2 years for just $25 – SAVE 80% — Best Deal! Additional US$46 for shipping outside the US. All rates are in US dollars. Additional US$16 for shipping to Canada. All rates are in US dollars. Additional US$23 for shipping outside the US. All rates are in US dollars. Additional US$8 for shipping to Canada. All rates are in US dollars.